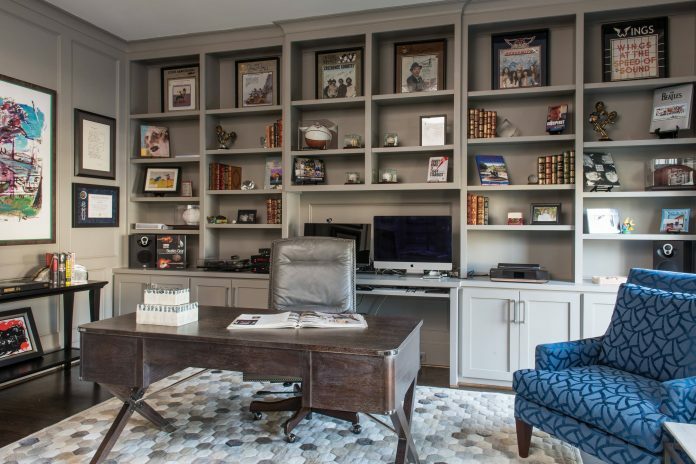 Whether you need a place to properly take care of family finances, or if you’re starting a business, (or you need a room to take the requests of those who wish to see you on the day of your daughter’s wedding), a home office is necessary for any respectable person who handles their affairs with integrity. It should reflect the design and comfort of the rest of the home and yet still maintain a professional atmosphere. It’s the place you want to work. Consider the location you choose for your office as your first priority. You’ll likely be spending a lot of time there so you want to be in a comfortable spacious spot. You don’t want to be in a room that feels confined or limiting, especially if you plan to have clients over. Traffic flow and privacy are your next concerns. Can you work with familial distractions or do you need to be tucked away in an isolated corner? Before you start investing in furniture carefully consider and narrow the scope of what you will really require. You’ll want a desk, shelves and storage that go hand and hand with your needs. Analyze your workflow and determine what you need at your fingertips. Seek pieces that reflect your style and are fully functional. Depending on how much you want to separate the office from the rest of the home it is common to have them reflect the same general style. If your home is of traditional décor, warm wood and soft roomy furnishings work well. In a contemporary setting, art and modern metal are commonplace. You can’t do great work in an average or even cheap chair. The right chair makes all the difference, especially in a professional setting. Take your time to find the one that you find most appealing. Review and pick from abundance of features available and choose a gorgeous ergonomically correct and comfy seat – it is worth whatever you spend. Continue to design the surroundings to your preference by painting the walls your favorite color, or of one that you really love. You might actually like bright colors but decide to compromise in your office for the benefit of a more professional atmosphere. 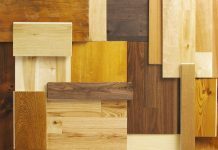 In that case you may choose grays or wood grains, something that commands respect. It’s a useful tool if you plan to have frequent visits from business associates. If you would benefit more by encouraging a certain mood, perhaps blues or greens are the ways to go. You don’t want your office to be a glorified cubicle – cold, soulless or sterile. Give yourself a view. Park your desk by a window so you can stare out from time to time and lose yourself in therapeutic non-thought. When you glance up from your screen you’ll want to see real life. The natural light from a window can make all the difference in the world for putting yourself and your guests at ease. If there is no window, hang an equally pleasant picture and set your desk up to face the door, anything to keep from staring at a blank wall. Don’t underestimate the warmth of homey accessories. Choose knick knacks that contribute to making you comfortable. 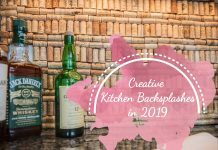 Turn a favorite mug into a pen holder, locate a cool vintage waste basket, or maybe even display a Star Wars action figure or two. Whatever reflects your personality and can tastefully add to the décor will contribute to the overall inviting nature of the room. Be careful when choosing prints for the wall, maybe artwork created by your children will contribute the perfect touch. Naturally, you’ll need to be as efficient as possible with managing your space. 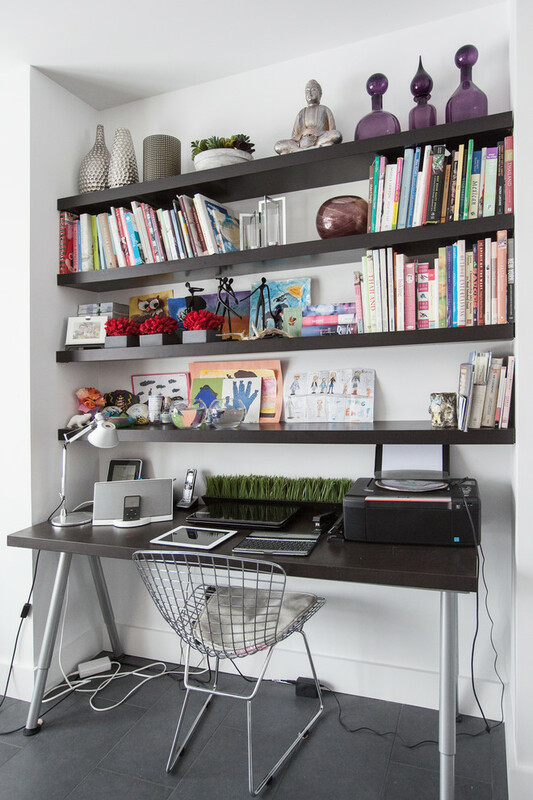 Use floating shelves to free your desk of office wares such as paperwork and equipment. If you intend to make stacks of papers, use a nice basket to keep it all somewhat orderly. Otherwise, for a clear desk, keep it all in a designated drawer. Either way they are easily accessible. Cube storage on the wall is another great way to keep your office organized, perfect for the odd and ends inherent to office life. Be certain that all of your electronic gear is close to electrical outlets. Use power strips when necessary and conceal those cords as best possible. Encase them in cord covers and lead them through a desk grommet (a large round plastic lined hole in your desk) to their plugin destinations underneath. Use cord winders or plastic tubing to further organize the ‘spaghetti’-like mess. An abundance of light will limit your vulnerability to eye strain and headaches. 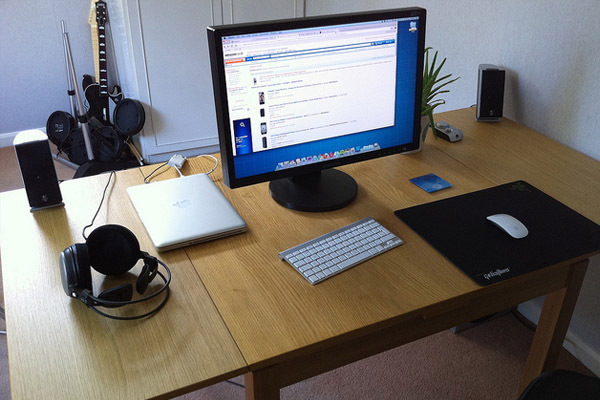 Have your monitor positioned so that it does not reflect any glare from overhead or from a window. For task lighting a small inexpensive desk lamp is ideal. They are even available with a clamp so they may be installed anywhere in just about any desired position. Ultimately you want an office that will inspire you to do your best work. Create the atmosphere that you respond positively in. Perhaps a photo or two on your desk featuring the people most important to you will encourage your motivation and help you earn the rewards for your hard work.